Maintenance free deck builders are always available at Miles Bradley Building and Remodeling. What does it mean to have a maintenance free deck? When it came to older more traditional wood decks, there was a certain level of maintenance you needed to do. Maintenance for the wood deck can include, cleaning, sanding, repairs, stain and much more. Now a wood deck is a fine choice but just be aware there is more work in owning one. 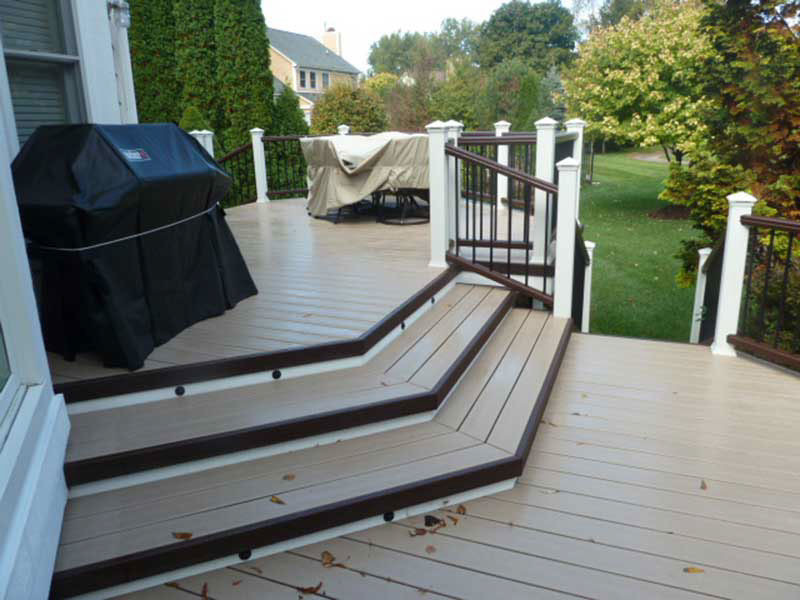 A low maintenance composite deck is the most popular choice when it comes to new decks. In addition, the maintenance on these type of decks is at a bare minimum. You do not have to worry about splinters or chipping paint, just sweep off the deck and you are good to go. One of the big choices people ask is Trex vs Timbertech when choosing materials for their deck. Here at Miles Bradley Building and Remodeling, we work almost exclusively with Trex Decking. Also, we have certified Trex Decking installers with years of experience in the product. Timbertech is also a nice choice and quality material as well. Either way, you are getting some of the best materials for your new deck. The beauty of Trex decks is you will not experience rot, splitting, swelling, or cracking. Making it a great choice. In addition, Trex will never require repainting, staining, or sealing. When it comes to a maintenance free deck builder, you need a licensed and certified builder you can trust. Miles Bradley Building and Remodeling has been building composite decks in the Detroit area since 1991. In addition, we also have a branch in the Chicago area as well. You can request a quote today or give us a call for Michigan residents at 248-478-8660 or in Chicago at 847-920-7601. Finally, beat the spring and summer rush and request your deck today!